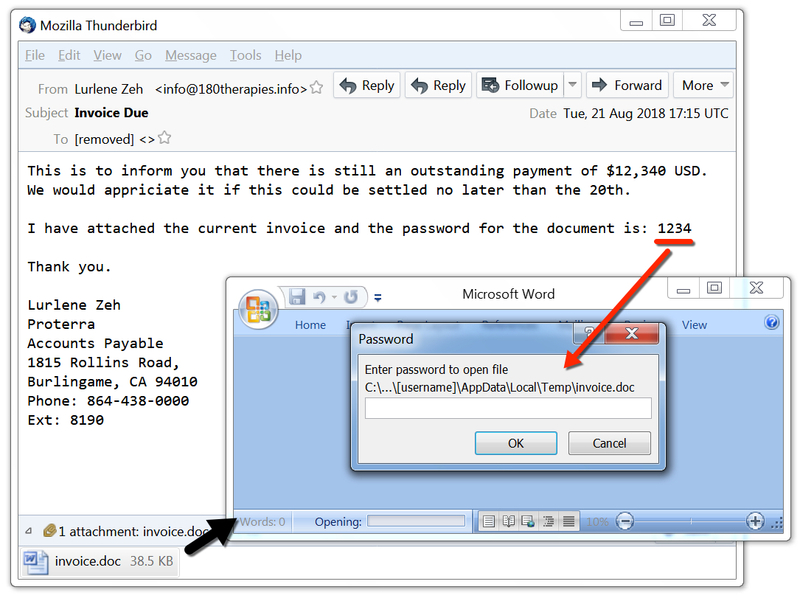 I've been documenting this type of malspam with password-protected Word docs whenever I run across an example. Last week on 2018-08-15, I found a few examples similar to today's malspam, which I documented in this ISC diary. At that time, they were pushing AZORult and Hermes ransomware. 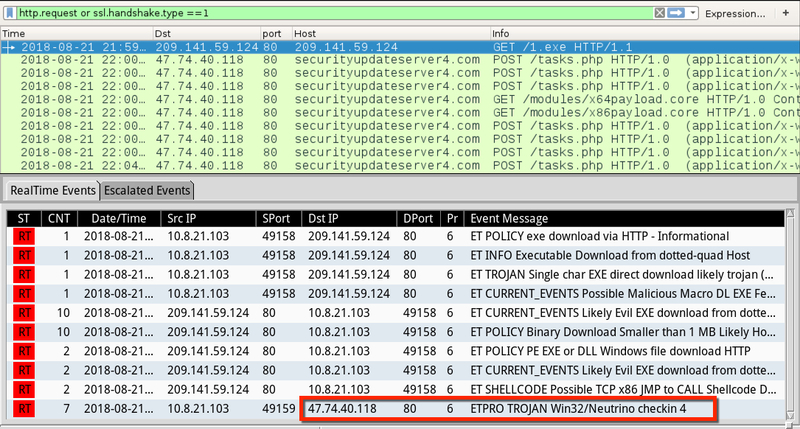 Today, the same type of malspam pushed Neutrino malware. Today's sample is very VM-aware, and it's also very aware of the IP you're coming from. 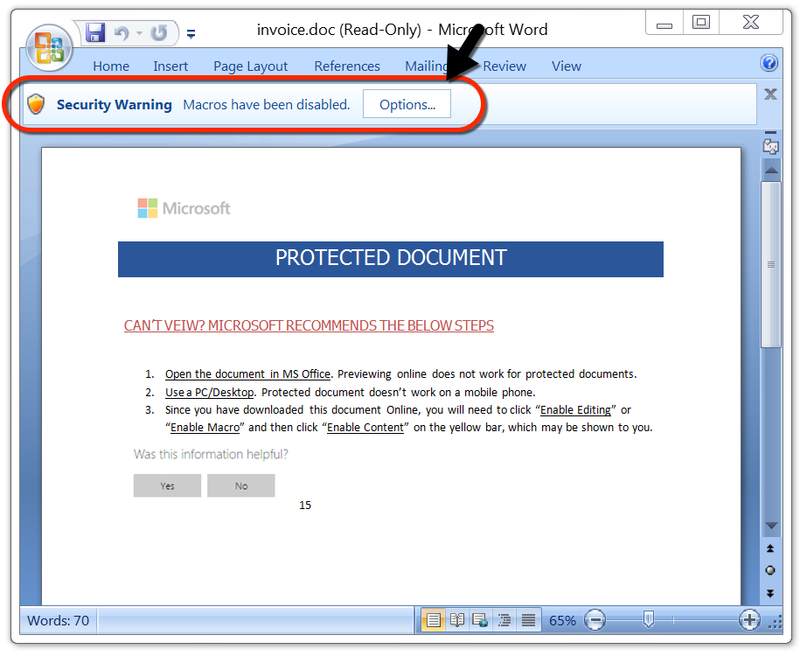 Shown above: Screenshot from the email sample with the password-protected Word doc attached. Shown above: Screenshot of the unlocked Word doc. Shown above: Traffic from an infection filtered in Wireshark and Security Onion using Sguil, Suricata, and the EmergingThreats Pro ruleset. 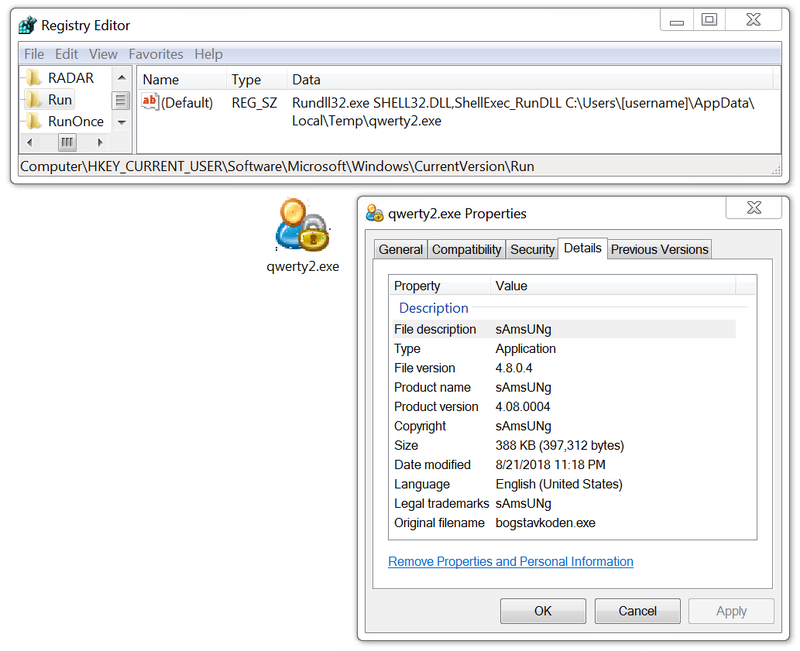 Shown above: Neutrino malware made persistent on the infected Windows host.